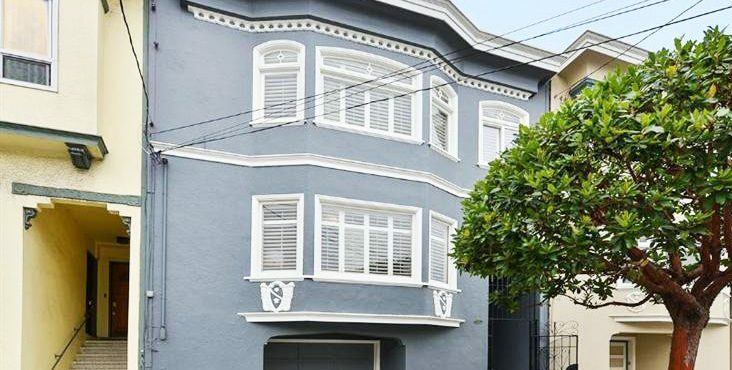 Classic SF Home with hard-to-find 4 BR/2 BA on one level. This welcoming home has spacious formal rooms, elegant period detailing and a deep landscaped garden. Enter the main level from the foyer that opens to a sun-filled living room with wainscoting, fireplace, built-in shelves and coved ceilings. The dining room has beveled glass doors and ocean views on a clear day. Recently updated kitchen has quartz counters, stainless steel appliances and leads to a remodeled half bath and adjacent family area. Hardwood floors throughout, 2-car garage w/interior access plus generous storage. Close to newly-revitalized Balboa Street corridor.